Arielle grew up in California with regular family trips to Yosemite National Park being the inspiration for her love of the outdoors. 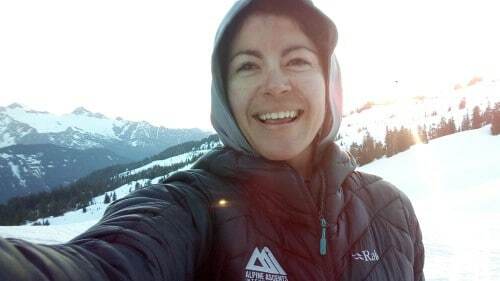 She decided to pursue adventure professionally and got her bachelor’s degree in Outdoor Recreation and Leadership, working summer jobs outdoors in Yosemite, the Rockies, and Southern Alaska as well as spending a semester with NOLS in the New Zealand backcountry. Her passion for climbing, mountains and skiing led to working (and playing!) in Lake Tahoe before making the move up to Washington. When not climbing she can be found traveling, reading, playing games, or watching rugby. This is an awesome program that has been carefully planned and put together by Alpine Ascents. The level of preparation required by participants is very high however, Alpine Ascents makes sure months in advance that participants train accordingly.